We were eating out the other night, and Paleovirtus Jr. decided to venture off-piste, so to speak, and order nachos. According to the menu, they came with guacamole and a tomato salsa. The chef was, by all accounts, tremendously proud of the salsa, due to the fact that it was “home made”, that is to say it wasn’t a store-bought, out-of-a-jar job. Curious orange that I am, I had to have a taste. Oh dear. 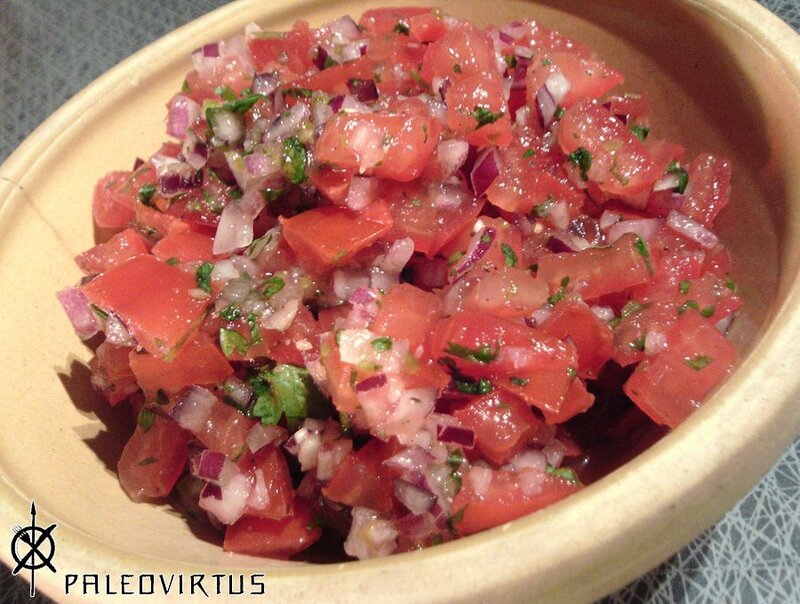 This entry was posted in Food Diary, Recipes and tagged accompaniment, paleo, recipe, side dish, tomato salsa on October 31, 2014 by paleovirtus. Yet another experiment that came about during a bout of Zen-like idle daydreaming. I was half contemplating the relative natures of coconut and almond flours over a cup of Pu-Erh tea, as you do, when it occurred to me that it might be possible to dust a slice of meat with coconut flour, egg it, and then give it a good old coating of almond flour prior to frying it. 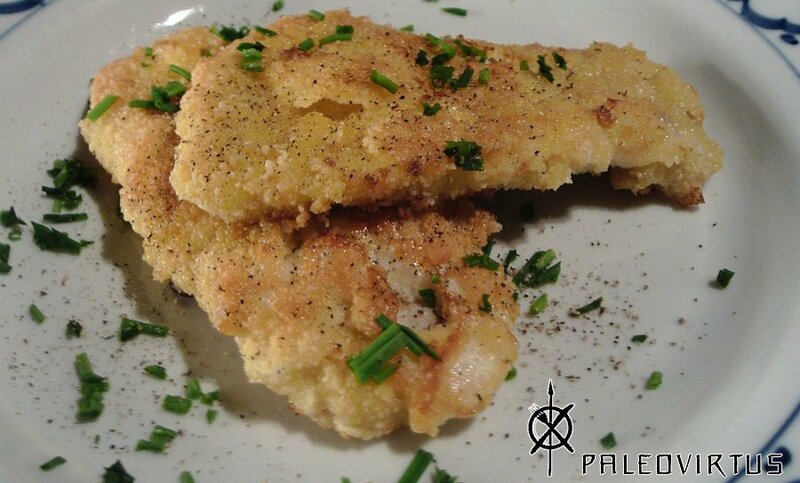 The result, if everything went according to plan, would be a wonderfully Paleo friendly version of that classic quick-fried meat dish, the Schnitzel. 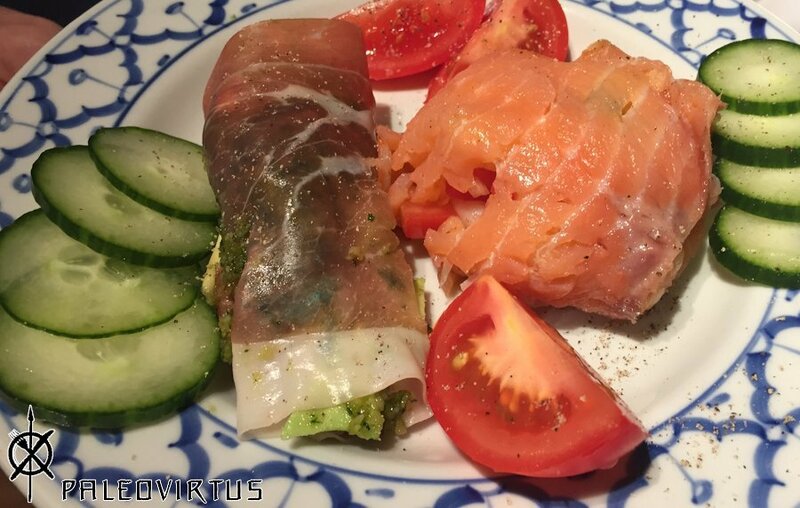 This entry was posted in Food Diary, Recipes and tagged almond flour, coconut flour, paleo, pork, recipe, Schnitzel on October 31, 2014 by paleovirtus. Traditionally this dish is prepared by marinating the chicken in a yoghurt based mixture, and then roasting it in a clay oven known as a tandoor, hence the name. Sadly our humble abode cannot accommodate a tandoor, and if you’re being somewhat strict about dairy in your Paleo regime that rules yoghurt out, too. You can kind of replicate the heat of a tandoor with a hot oven, but the yoghurt presented a real stumbling block. 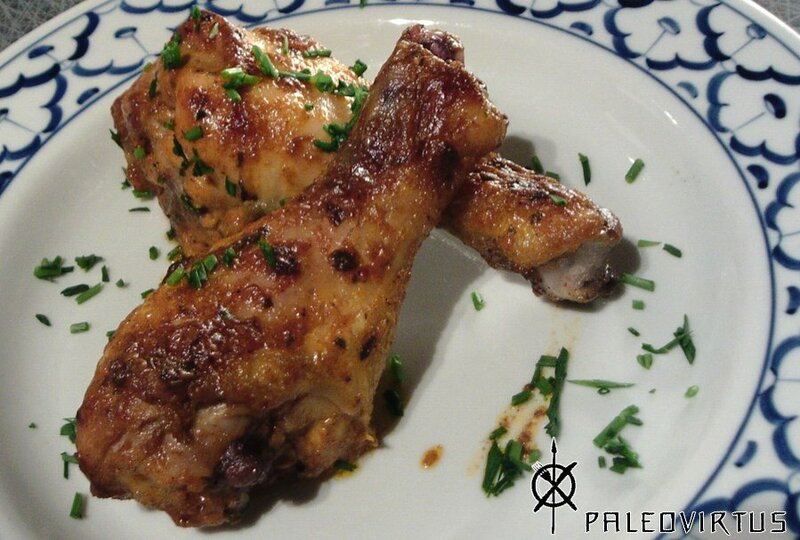 This entry was posted in Food Diary, Recipes and tagged Coconut cream, curry, Indian food, paleo, recipe, Tandoori Chicken on October 30, 2014 by paleovirtus. I don’t know about you, but when the days start to get shorter, darker, colder, and wetter, I begin to drift away from the idea of “salad as a main course”. Where once I longed for summery salads, my thoughts now turn towards comforting stews, casseroles, and pies. Sausages are one of the great comfort foods, with the added bonus of being quick and easy to cook. Add in a generous helping of mash, and you have the makings of a Great British Classic. 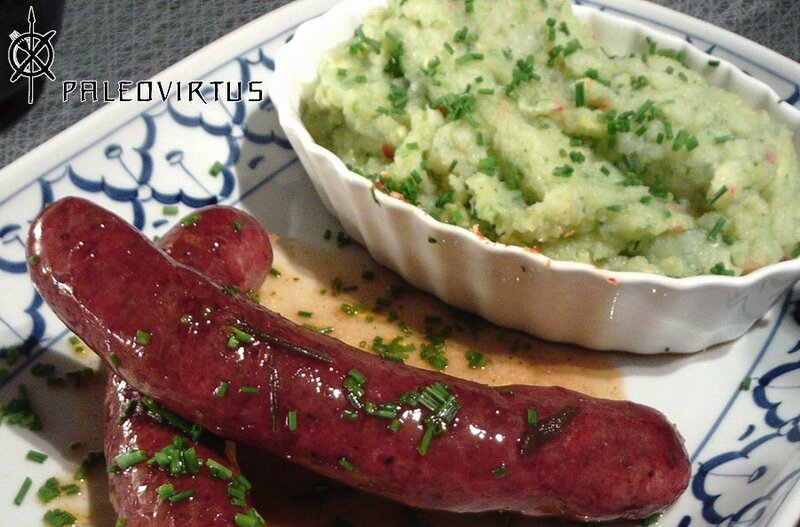 This entry was posted in Food Diary, Recipes and tagged Bangers and mash, British, cauliflower mash, paleo, recipe, sausages on October 28, 2014 by paleovirtus. We used to live in Brussels – Paleovirtus Jr. was born there. As a city it quite simply defies concise, neat descriptions. No guidebook produced could ever do it justice. It may sound like a hippy-esque cliché, but it’s still true – this city has to be experienced to be believed. Even the simple act of buying a piece of fruit could easily and rapidly become a surreal encounter that would still have you scratching your head in disbelief over 15 years later. 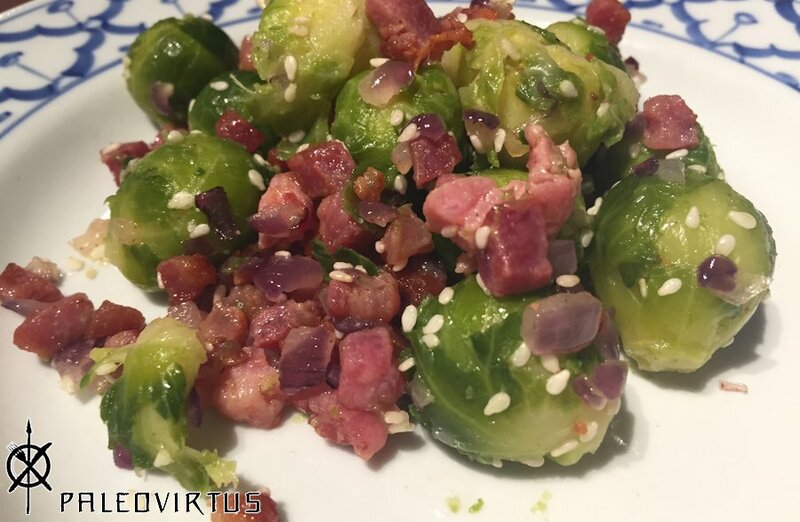 This entry was posted in Food Diary, Recipes and tagged accompaniment, bacon, Brussels sprouts, paleo, recipe, sesame seed, side dish on October 27, 2014 by paleovirtus. Yesterday I felt well rough. I knew I was in trouble when I got out of bed and didn’t want to go out on my early morning bike ride. “You’re ill, aren’t you…?”, commented Mrs. Paleovirtus as I limped back to bed. Tux only knows what hit me. Some lurgy or other. Whatever it was, it never quite managed to put me completely out of action, but it did mean that I wasn’t exactly overkeen on cooking, which, given the fact that my digestive tubules were dancing to the “What Goes Down Just Might Come Up Again” Calypso, was probably a good idea. 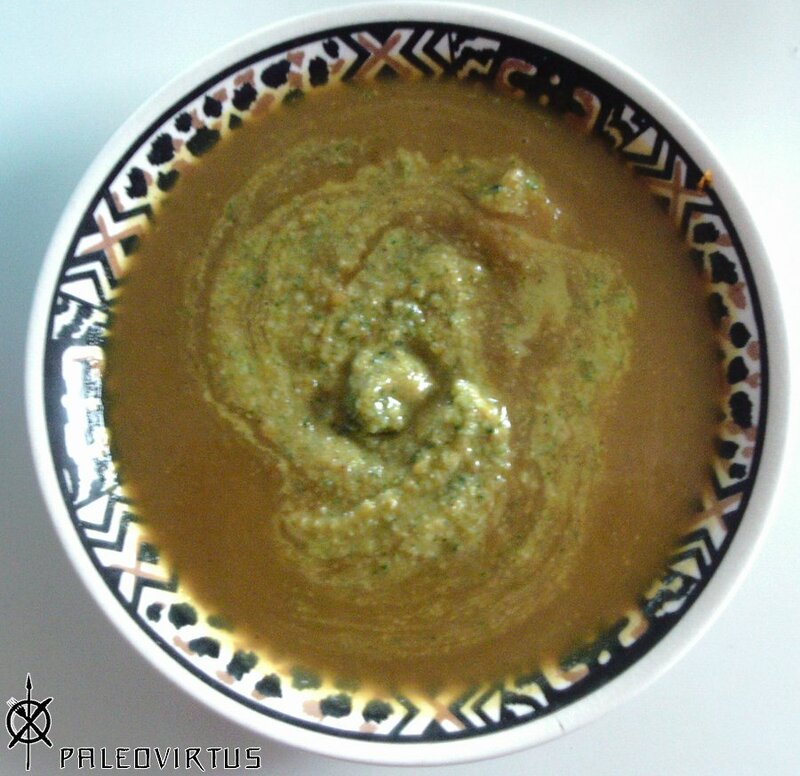 This entry was posted in Food Diary and tagged apple, butternut squash, curried, leftovers, paleo, parsley, pesto, soup, walnut on October 25, 2014 by paleovirtus.